If anyone was to make a game in the UK’s second city Manchester, they’d need to ensure a whole button was dedicated to popping up an umbrella at any moment. Having lived here for almost eight years now, I can tell you it rains. It rains a lot. Feeling like you want to explore? Have a look at the best sandbox games on PC here. 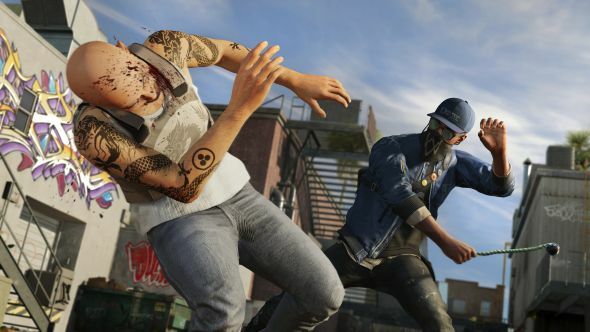 San Francisco is similarly famous for its fog, which is why Ubisoft has reacted quickly to claims from PC players of Watch Dogs 2 that its replication of the city simply isn’t foggy enough. The latest update for the game will make sure that fog appears more often, the publisher has claimed, appearing at 6pm on the days where it pops up before disappearing around 2pm the following day. Oh, and the latest patch includes a whole host of other changes too, including the ability to replay already completed missions for extra LOLs. That’s my description, not theirs. You can check out the full list of changes in Update 1.08 here, with the update itself rolling out “later this week”.